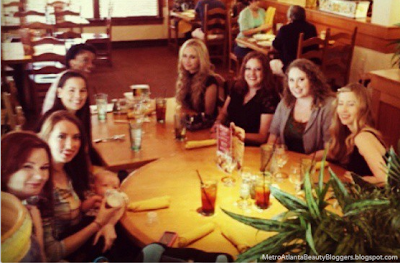 On August 25th, the Metro Atlanta Beauty Bloggers got together in Roswell for a meetup! We had a fantastic afternoon catching up, chatting 'blog talk' in person, and swapping makeup goodies! Unfortunately, I wasn't at this meetup because I hadn't joined MABB until later that night. I had come across Mandy (from MandysSecrets) in one of my mom groups on facebook and realized that she had a beauty blog! I was so excited because I haven't met anyone else that wrote beauty blogs like me. 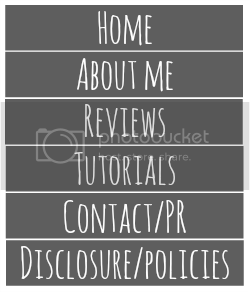 I took a look at her blog and loved all her content so I decided to reach out to her and ask for some advice on my blog. She was super sweet and pointed out things that I may want to change or add. 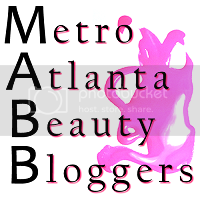 She mentioned MABB (Metro Atlanta Beauty Bloggers') and asked me if I would like to join. How could I say no to being in a group of fellow beauty lovers?! I couldn't! :) I have met some wonderful ladies and everyone is as sweet as can be! Hopefully I can make it to the next meetup so I can meet them all in person! To kick off fall we are excited to do a blog hop. Add a link to your blog below to participate. All blogs are welcome! :) One blog link per person please! If you would like to see previous bi-weekly questions and answers, you can do so by viewing the Question Archive here. Thank you for linking up last week on my Bloglovin' Blog Hop! Now following you via Bloglovin', GFC, and Twitter.